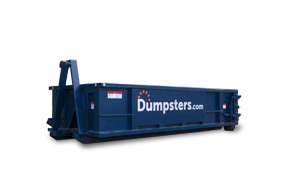 With Dumpsters.com, you’ll get a dumpster rental for shingles and other roofing materials fast. You can also schedule reliable empty-and-returns for jobs too big for one container. Have more than one crew working at a time? We can coordinate deliveries across multiple job sites. And our roofing dumpsters come with flat rate prices that make it easy to add disposal costs into your bids. Roofing is hard work. Let us worry about the cleanup. Check out the options below to find the best dumpster size for your roofing job based on how many squares of shingles you need to dispose of. Need to rent multiple containers? Just let us know how many. Also keep in mind: Architectural shingles weigh more than three-tab, so in some cases you may need more containers for the same amount of squares. Use our shingle weight calculator to estimate the size and number of containers for your job. 10-20 squares of three-tab shingles. 10-20 squares of architectural shingles. 40-60 squares of three-tab shingles. A “square” of shingles is a roofing term for 100 square feet. To determine how many squares a roof is, just divide its square footage by 100. For example, a 2,000 square foot roof has 20 squares of shingles. It typically takes 3 bundles of shingles to cover each square of a roof. Our team helps roofers all over the country. Choose Dumpsters.com for your roofing dumpster rental and we’ll make sure you get the right container for the job delivered on time. Your team member will recommend the best number of containers based on the specifics of your job and schedule your order fast. Need an empty-and-return? A quick call is all it takes. 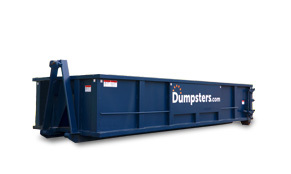 Contact us today to order a dumpster in minutes. 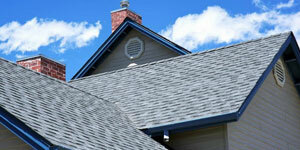 Why Choose Us for Shingle Disposal? With our range of sizes, we can handle even the largest roof tear-offs. Our up-front pricing includes disposal costs, taxes and a covered weight limit. 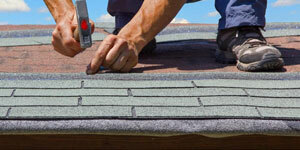 Looking for more information about roofing? Check out these posts from our blog.